The UK's largest & fully trained, specialist suppliers & installers of windposts. 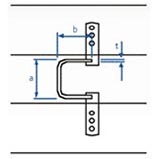 Windposts are specifically designed to strengthen masonry panels by laterally restraining them. There are various windposts designs and generally they span vertically between floors to provide lateral support to brick and blockwork panels. Often they are used alongside masonry support systems to provide extra rigidity to a large wall area. Windposts can eliminate the need for additional steel or reinforcement in concrete columns, which in turn can reduce costs. Windposts provide strength and stability in large areas of cladding, structures subjected to high wind loads or where there are two or more window apertures in a masonry panel. 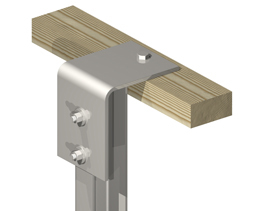 Windposts are fixed using a heavy duty base connection and a vertically adjustable top cleat which accommodates structure and site tolerances. 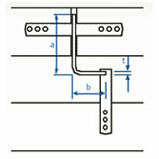 There are several types of standard windpost designs, project specific special windpost are also manufactured. The various windpost designs are shown below. 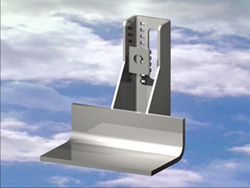 In addition to being a Windpost Supplier and installer we also provide those important and complimentary components such as masonry support brackets and masonry restraints. We have worked with Vision on numerous projects for the installation of masonry support systems. 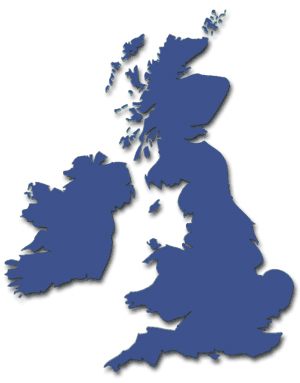 We have always found them to provide a good quality service, completing works to programme and within budget. Vision’s approach is professional, well managed and carried out with a consistent focus on delivery of value and best practice. We would have no hesitation in working with them again and would happily recommend them to any other potential contractors or clients. Marc France - C&I Smith Building Contractors Ltd.
Windposts and brick ties are normally manufactured from Grade 304 stainless steel. (Grade 316 is also available, if required.) For dry internal applications, hot dip galvanised windposts can be manufactured, but it is recommended that the ties in the outer skin are stainless, even if the windpost is hot dip galvanised. Generally bricklayers / labourers fix windposts, this not only stops the bricklayer laying bricks but as they are not structural engineers can result in various problems. Vision installers are trained and experienced in the fitting of masonry windposts, we offer time served operatives that are able to overcome any fitting issues. Our windpost installers will fit up to 30 posts per day depending on the specification, this not only allows bricklayers to be more productive but also speeds up tight site programmes which is essential in modern day construction. With Vision fitting your windposts you are guaranteed they are fitted to specification with the correct fixings. All fixing bolts are tightened to the specified torque settings. The posts are plum and fixed to the correct location. Considerably more windposts will be fitted on a daily basis and a QA sign off sheet for each floor fitted will be provided weekly which gives you a holding point with the clerk of the works. Your windposts will be fitted once and fitted right. 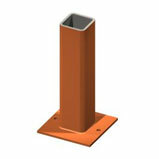 Vision are also windpost suppliers, and can supply a wide range of windposts for your project.